Jamie Foxx denied rumors he’s dating Katie Holmes, saying they are longtime friends who are working on an animated movie together. “Come on, you guys have been trying to get that to stick for three years,” Foxx chuckled to paps who questioned him about the “Batman Begins” star while he walked to his car in Los Angeles. The 47-year-old actor then paused to snap a selfie with a fan before stepping into his sleek black ride. Chatter about an alleged secret romance reached a clamor last week after US Weekly published a grainy photo of the pair holding hands and playing footsie in February. 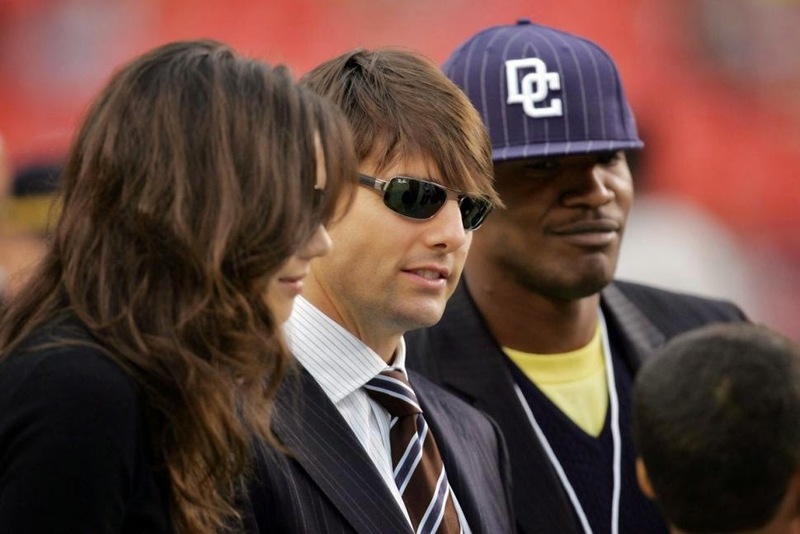 A source also told People magazine that Foxx and his “Collateral” co-star Tom Cruise’s ex were spending a lot of time together — though the source added that it wasn’t “some intense romance.” Rumors that something was brewing between the pair first began swirling in August 2013 when they were spotted dancing at a Hamptons charity event.